This documentation covers installing and setup your theme and how to use theme features. Assuming that you already have a domain name (E.g. example.com) and web hosting service that WordPress has been installed on it. Click Download Theme File to download the theme as a zip file. 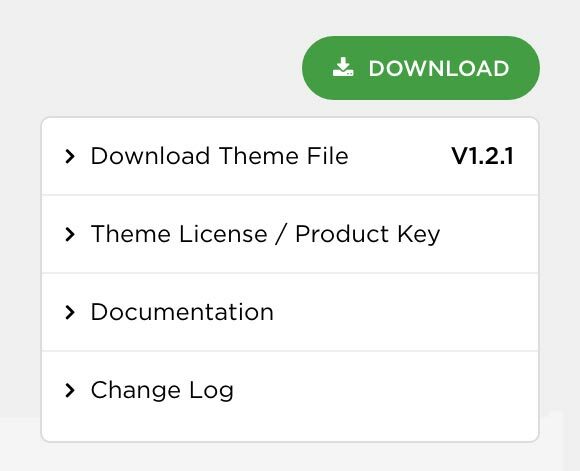 Theme License / Product Key should be entered to Northeme > Theme Update section in order to receive auto-updates. Your theme comes with auto-updater features. 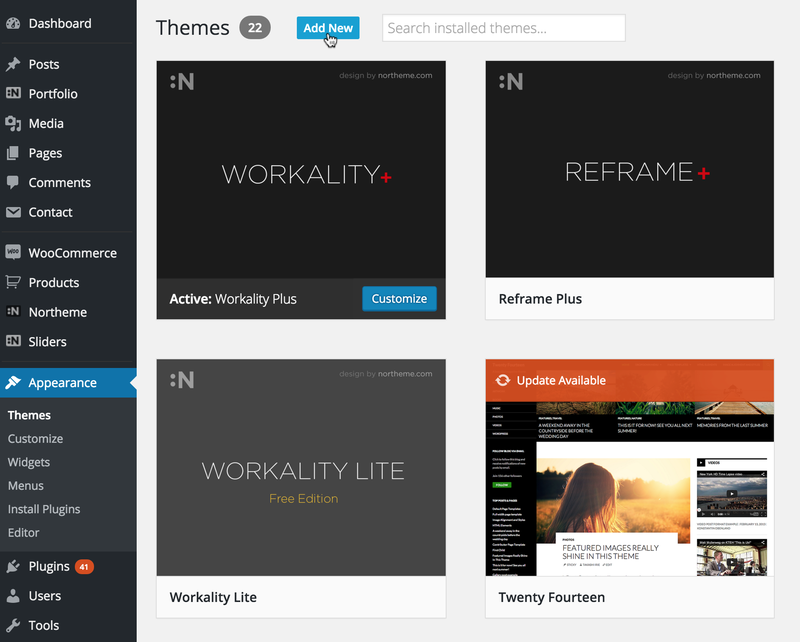 You’ll receive a notification on your WordPress Dashboard whenever a new theme update is available. New updates can be installed at Northeme > Theme Update section. Certain plugins help to have a better experience with your theme. Make sure that you checked out Recommend Plugins section of this documentation and install the plugins according to your needs before getting started. Installing live demo allows to install theme live demo content on to your WordPress. Theme live demo has been provided as XML file. You can download it from My Account page on northeme.com by clicking on Download button and select the Live Demo XML. In order to install XML file, select Tools > Import from your WP dashboard and select WordPress. Install WordPress Importer plugin if WordPress asks you to install and it hasn’t been installed yet. Upload XML file and import everything. Leave “Download and import file attachments” option unselected if your hosting doesn’t allow you to download large files. Theme registration is important to get automatic theme updates. 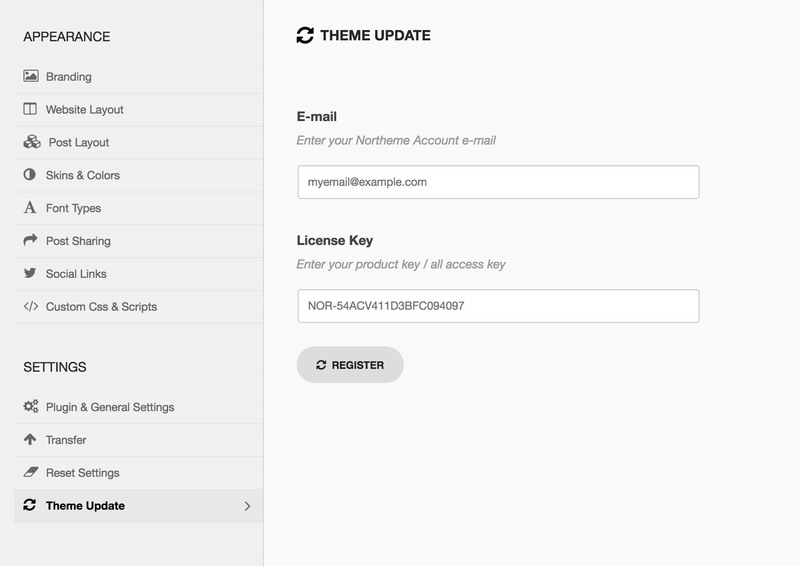 Head to Northeme > Theme Updates section and enter your Northeme account e-mail and product key. Once it’s set, you’ll be notified whenever a new update released and you’ll be able to update your theme by single click. 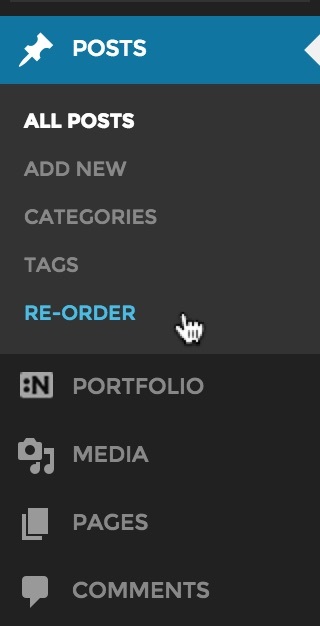 Northeme Options panel is located at Northeme menu on your dashboard. 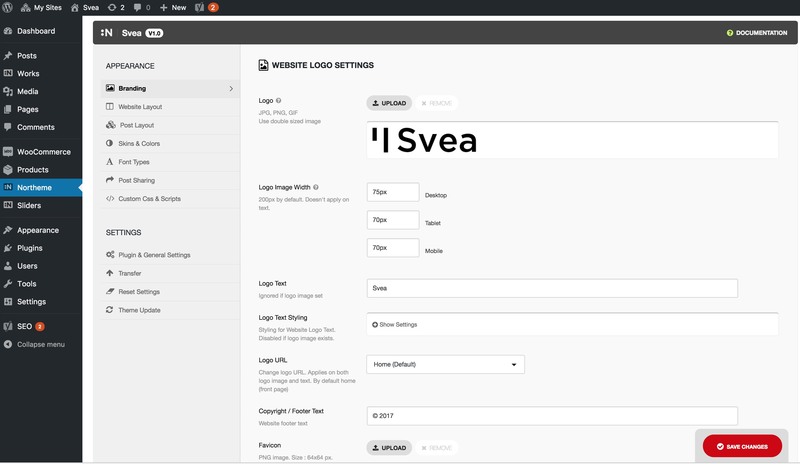 You can manage basic and advanced theme settings such as branding, website layout, sharing etc. 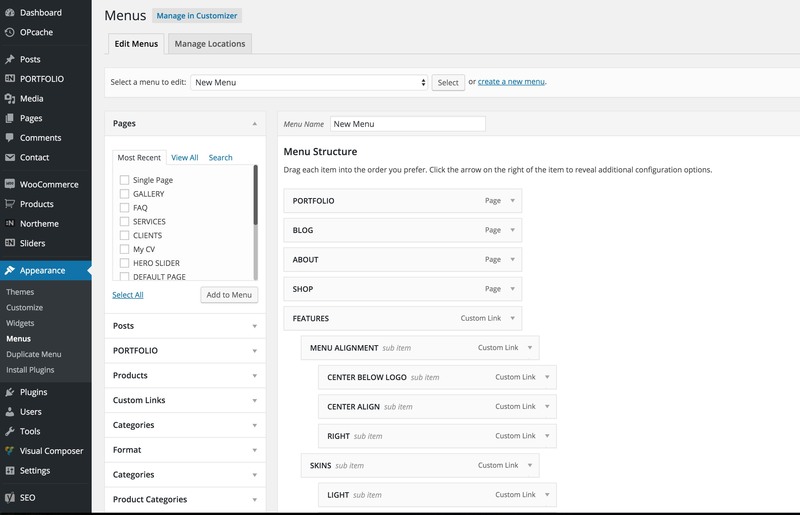 Pages can be created / managed at Pages menu on your dashboard. Pages is one of the primary sections that allows to build your website content. Click Add New page to create a new page. Some of our themes may offer exclusive page templates other than Default Page. Default Page is a full width page versatile template and it’s the template that you’re supposed to use in most cases. Blog template is blog posts listing page. 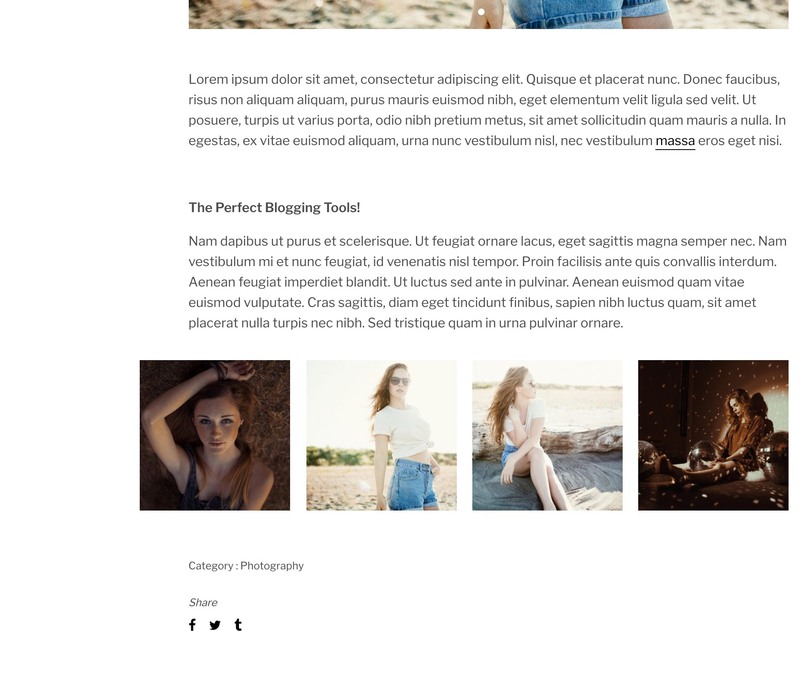 Select this template if you want to create a page that displays all blog posts. Works is also similar to Blog template and allows to create a page that lists all Portfolio posts. About / Contact (NEW) allows to build a contact, about or team members page. You can use all content together or build individual pages. Enable Sidebar option allows to activate the sidebar for a Default page or Blog page. Sidebar widgets can be managed at Appearance > Widgets. Page titles are disabled by default. Display Title option allows to display the page title on header. 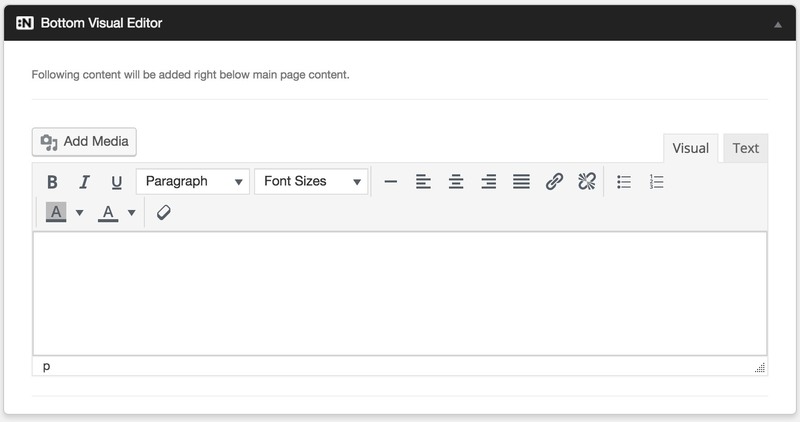 Bottom Editor is available yet optional for Blog and Works templates in order to display content beneath the posts list. Page Excerpt field can be used for displaying content on the page header. If you cannot see excerpt field, activate it by clicking Screen Options button on the top right and opt-in for excerpt. 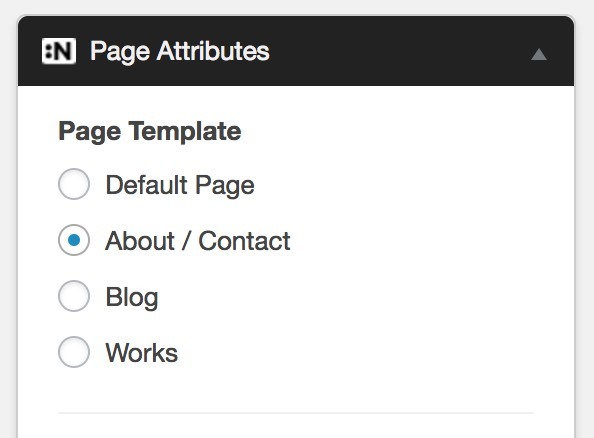 In order to use this template, select About / Contact from Page template. Once it’s selected, Team and Contact panels will appear. Team panel allows to add single or multiple elements and reorder them. Each element allows to enter name, job title and description. You can use a single element for building an about page or use multiple elements to create a team members page. 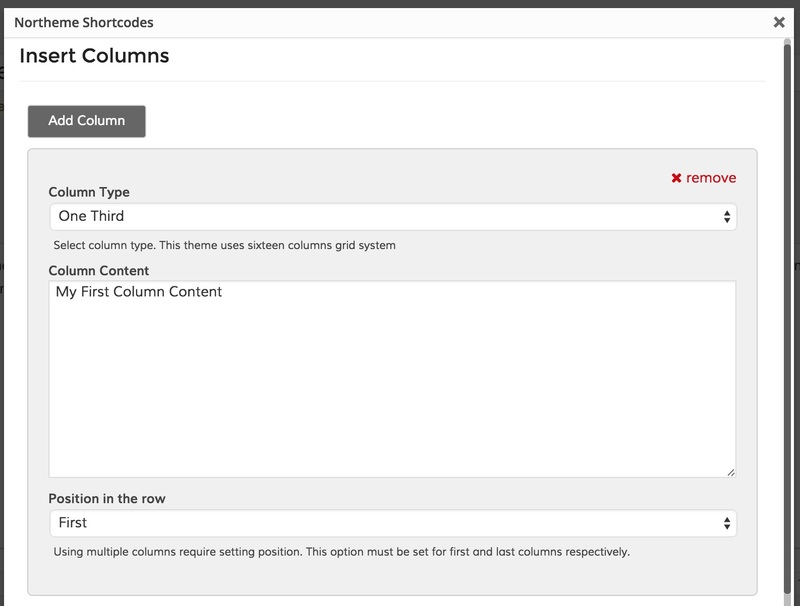 Also multiple columns option is available to change layout type. Contact panel allows to add Google Map, contact form and address info. It’ll appear bottom part of the page if activated. Each section is optional and can be used altogether to build a common page for about / contact info as well as build individual pages. Blog requires a posts listing page. If you haven’t created a blog posts listing page yet, go to Pages and create a page with Blog Template. Creating a new post is pretty straight-forward process by setting title and content. Excerpt field and More tag give you more control over the content for posts listing page by allow you to alter post content. You can either use Excerpt field to display a summary of main content or use More tag (See Recommended Plugins section) to limit the main content. 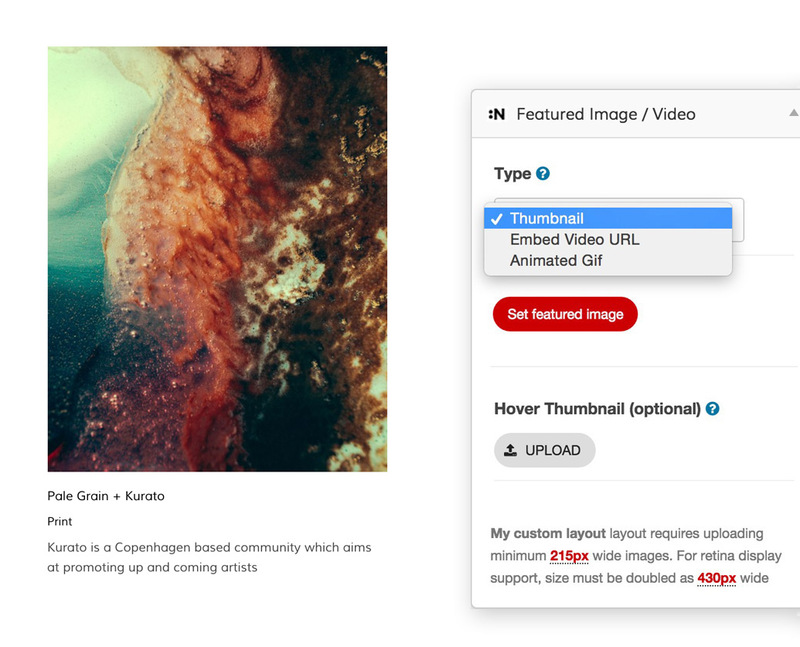 Video supports Youtube, Vimeo URL or embed code directly. You can also use built-in slider shortcodes on this field to display slider as featured image. 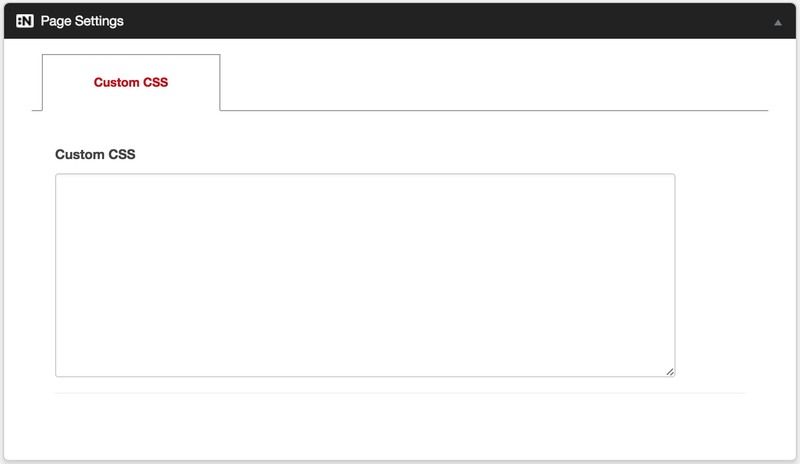 Blog View Options can be managed at Northeme > Post Layout. You can manage posts listing page settings such as post limit, layout, pagination type etc. Works post types comes with your theme to build a portfolio. In order to list Works posts, you’re supposed to create a posts listing page. If you haven’t created yet, add a new page with Works template at Pages. Works located right below Posts on your dashboard. Use Add New Project button to create a new project. Categories are dedicated taxonomy of Portfolio. In order to create a new project, go to Add New Project and set a title for your project. Excerpt can be used to define for a sub title and also posts listing page. 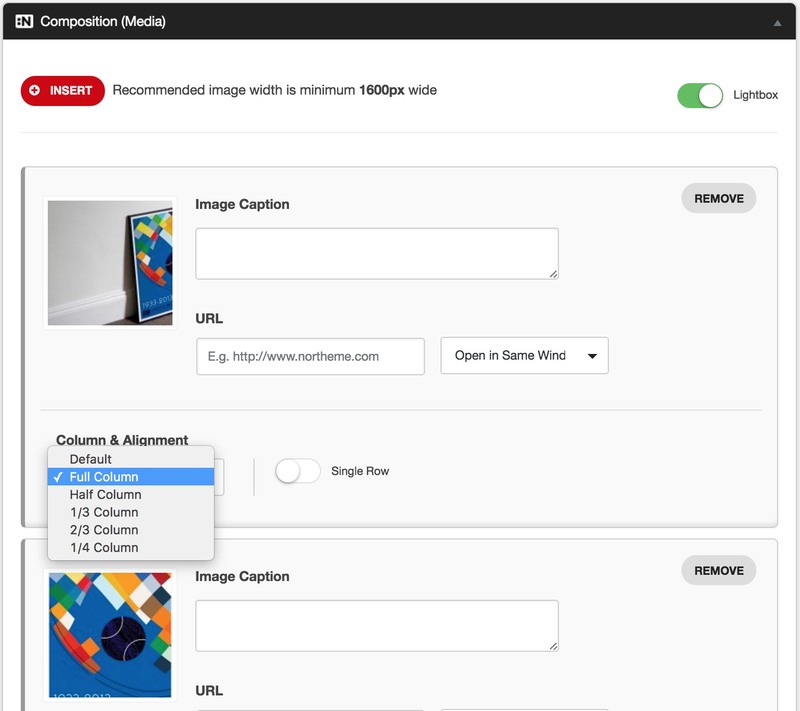 Column : By default images will be displayed in maximum width. If you want to display more than one object in a row, this option allows to display the element in Default, 1/2, 1/3, 1/4, 2/3 measures. Single row : You may prefer to use smaller column type than default such as 1/2 or 2/3. If this option is activated, this particular will clear other elements coming before and after regardless their column type. 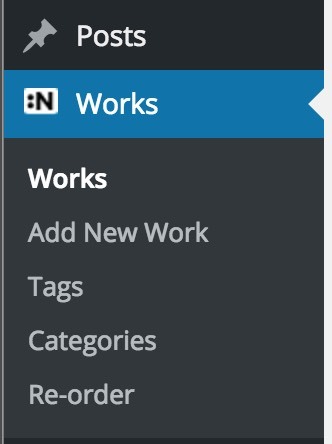 Works View Options can be managed at Northeme > Posts Layout. You can manage posts listing page settings such as post limit, layout, pagination type etc. Once a menu is created, it must be activated from Display Location. Opt-in for Northeme Main Menu in order to activate it. Your theme offers Classic Menu option that can be setup at Northeme > Layout. Please note that Classic Menu does NOT offer multi-level menus. As for multilevel menus, parent menu cannot have an URL. Clicking a parent menu shows sub menu items. Therefore, you may prefer to add a clickable sub item menu. Simply use pound sign (#) as Custom Link’s URL in order to use it as parent menu. Default page, Blog and Portfolio sidebars are available at Appearance > Widgets section. 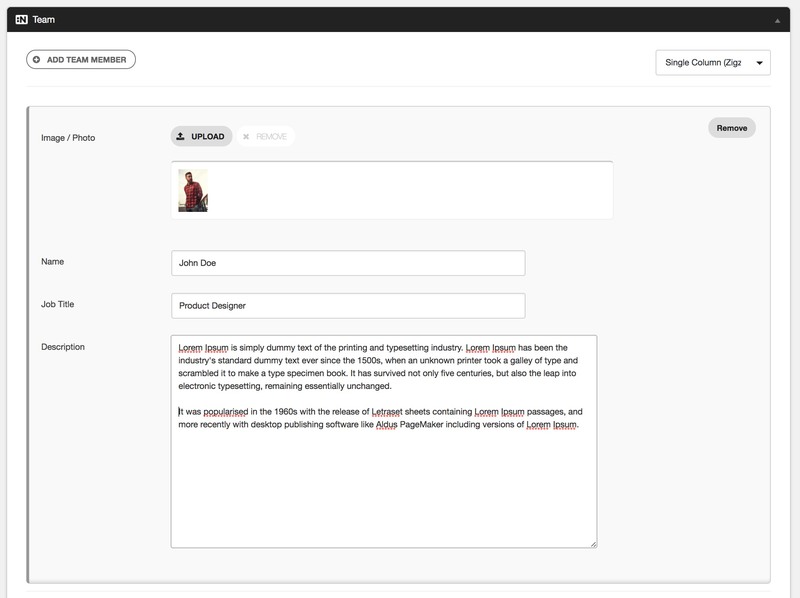 Widgets can be added by drag&drop to build sidebar content. 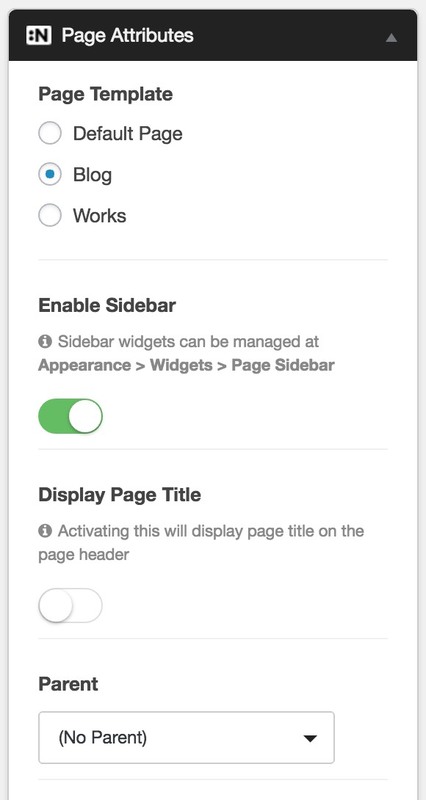 In order to activate a sidebar for a page, you must activate Enable Sidebar option for that specific page. This option can be found on Add / Edit page at Pages. Northeme > Theme Options > Website Layout > Footer Widgets section provides an option, Footer Widget Columns, that allows to set number of widget columns. You may change it to divide footer equally. 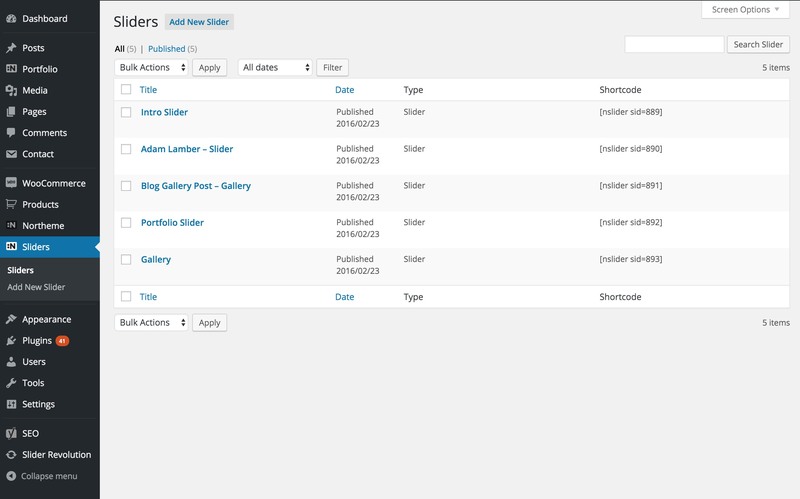 For example 2 columns will divide footer two columns, and Footer 1 & Footer 2 location widgets will be used only. 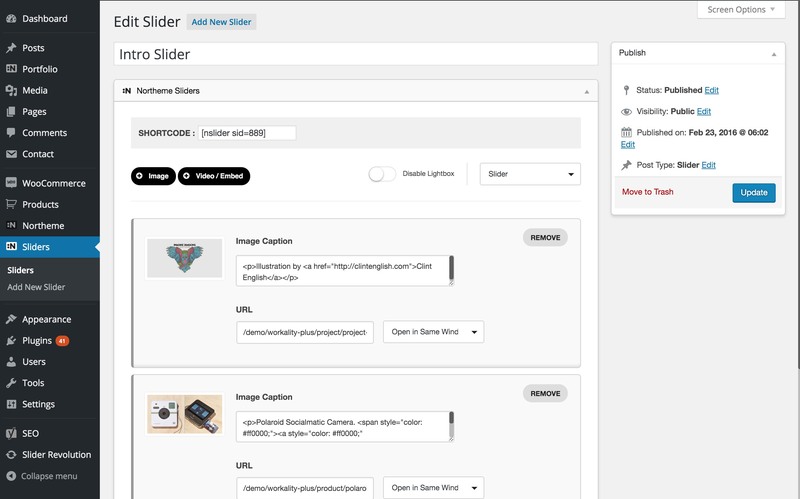 Built-in Sliders is lightweight solution to build simple sliders. Slider / Gallery Manager is located at Sliders menu on your dashboard. You can create unlimited sliders and use them via shortcodes. Slider settings can be managed at Northeme > Plugin & General Options section. Animation speed, icon speed and various settings can be adjusted. Drag&drop your posts and categories to re-order them. Custom Ordering must be selected to apply custom ordering settings. Otherwise select Order by Title, Order by Date (descending) or Order by Date (ascending). Shifted content wrapper allows to shift its content to the left, outside of the main container. 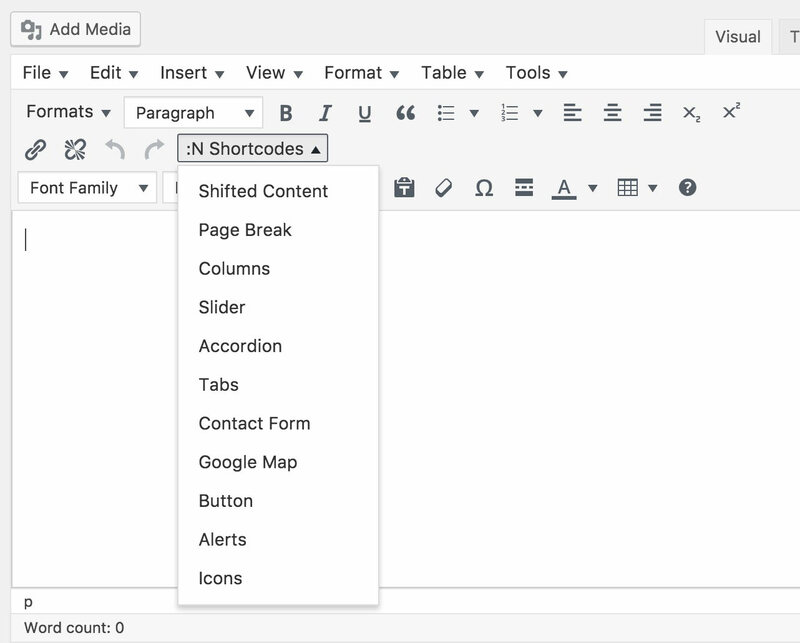 Simply add shifted shortcode tags before and after the part of content. No additional settings / values needed. My Content / image / video etc. here. Your theme is built with 12 column grid system and Column Type option allows to choose how many columns will be displayed on a row. Half, Two Third, One Third options provided along with standard column count.